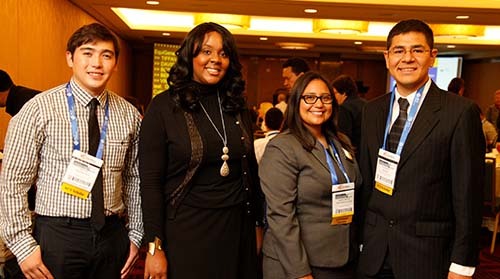 As a part of the Fall 2014 National Meeting in San Francisco, the ACS Committee for Minority Affairs will be co-sponsoring several programming items. On Monday, August 11th, 2014, the session will be titled “How to Foster Diversity in the Chemical Sciences: Lessons Learned and Taught Through the Stories of Recipients of the Stanley C. Israel Award“. 8:05 – Diversifying the Department of Macromolecular Science & Engineering at Case Western Reserve University. Over the past seven years, the Department of Macromolecular Science & Engineering has operated an outreach program into significantly challenged inner city high schools, as well as actively using its summer REU program to enhance minority participation in undergraduate research and graduate recruiting. 100% of the high school students who have completed the program have gone on to college (the first student is in her second year of a PhD program now) with 90% majoring in STEM fields. The REU program, working closely with a group of historically black universities, had led the program from no African American PhD students 5 years ago to 12% participation as of fall 2014. Successful strategies at both the high school and undergraduate levels will be discussed. 8:25 . 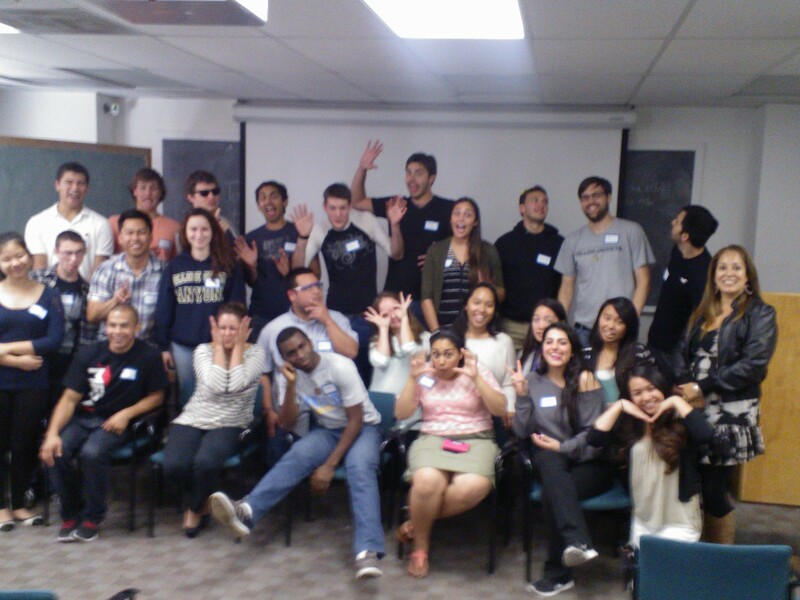 Recruit, nurture, and graduate underrepresented minority and disadvantaged students. Underepresentation of African Americans (AA), females, and first generation college students in the chemical sciences is a major concern of the nation as we forge forward to diversify the workforce. Historically Black Colleges and Universities (HBCUs) play an important role in educating these students. At Jackson State University, one of the few HBCUs designated by the Carnegie Foundation as “Research Universities with High Research Activity”, its chemistry department has the nurturing environment, scientific accomplishments, and rich experiences to recruit, nurture, and graduate AA students on BS, MS, and PhD levels. With the support of the faculty and the administration, the Department of Chemistry at JSU embarked on this journey with the following initiatives: 1). Address societal apprehension about chemistry from our students; 2). Modify curricula to suit the needs and goals of the current generation; 3). Remove financial barriers to quality chemical education; 4). Establish Individualized training; 5). Create opportunities designed to make student and faculty partners in their education; 6). Develop relationships with the community, including high schools and community colleges. These efforts helped to triple the chemistry enrollment on all three levels: BS, MS, and PhD, and advanced the Department to become the top chemistry program in the country for producing AA graduates on all three levels. 8:45 . Fostering Diversity in the Chemical Sciences through Undergraduate Research at Queensborough Community College. Queensborough Community College is one of the seven community colleges that are part of the City University of New York. Through the support of the college administration, first, and later an NSF-STEP grant, undergraduate research has been instituted as a freshman impact activity. This has led to numerous conference presentations by the students and close to two dozen peer-reviewed journal publications that bear the students’ names since 2000. In addition students from diverse communities and backgrounds have been actively supported into summer REU experiences, tutoring opportunities as well as the opportunity to summarize invited speakers’ seminars. All these activities enhance the students’ self-confidence and create a cohort that overcomes any ethnic, age, gender or religious differences. 9:05 . 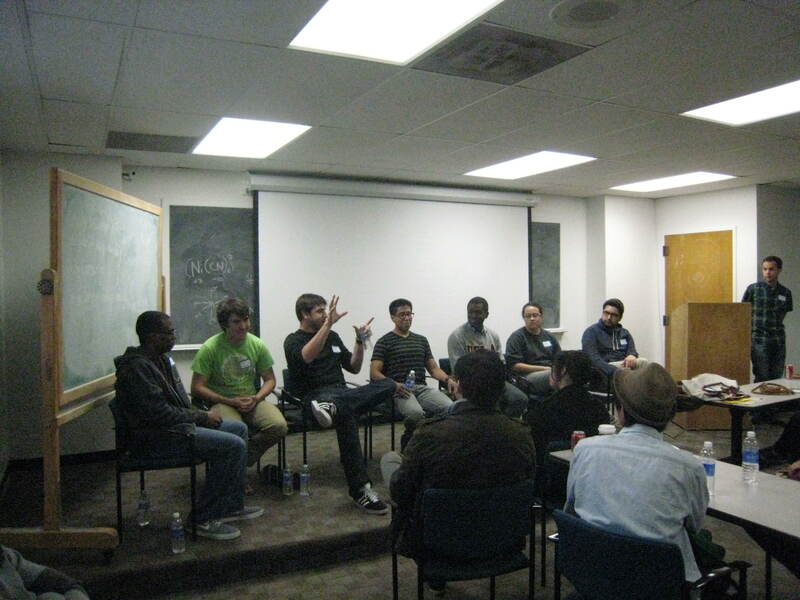 Mentoring, research, and diversity: Transforming undergraduate STEM education. Mentoring and research are important tools for transforming undergraduate education in science, technology, engineering, and mathematics (STEM). Through such experiences, aspiring scientists are engaged in meaningful learning that transcends classroom teaching into applications of relevance to real-world challenges. In addition, mentoring and research synergistically impact student retention and provide the preparatory background for long term careers in STEM fields. Through funding from the National Science Foundation, the National Institutes of Health, Research Corporation, and the Louisiana Board of Regents, the Office of Strategic Initiatives at Louisiana State University provides a host of programs, services, and opportunities for students with exceptional promise for academic and research achievements. We believe that the hallmarks of all of these programs are our mentoring and research activities. Combining these with diversity, academic advising and interventions, and financial support, our staff works collaboratively with faculty to provide a diverse population of students with the foundation needed to excel in undergraduate programs of study. Through these interventions and support, we have realized growth in the retention and graduation rates of program participants. Beyond simple subsistence in STEM fields, we have seen an increase in graduating GPAs of our students, as well as an increase in the number of program participants garnering national awards. In addition, we have demonstrated that these strategies are equally applicable to a diverse population of students such that there is not a significant difference in the six-year graduation rates of under-represented minorities, women, and majority students. 9:25 . Fostering diversity and building capacity in STEM for girls in the South. The 2010 report on girls and women in science, technology, engineering and mathematics (STEM) published by AAUW asks the question, “Why So Few?” that everyone should be asking. Recruitment, retention, and graduation of women with science, technology, engineering and mathematics (STEM) training are critical needs in Tennessee and across the nation. The low rate at which women are entering STEM in high school and in higher education is troubling, especially since even low-paying jobs require a fundamental knowledge of STEM subjects. In addition, our society still reinforces traditional beliefs about education and careers for women. These beliefs are very prevalent in Tennessee and across the South. STEM education and career choices of girls are clearly affected by negative stereotypes of who scientists are. Children are aware of these stereotypes and may express stereotypical ideas about who is suitable for a career in STEM. These perceptions also undermine the self-confidence of girls in pursuing STEM careers. At Middle Tennessee State University, we have been building capacity and proficiency in STEM for girls and women since 1996. We are changing the equation and fostering diversity in STEM through our signature programs such as Expanding Your Horizons, the Girls Raised in Tennessee Science (GRITS) Collaborative Project and more. We have established the first Women In STEM (WISTEM) Center in Tennessee and have created a community of experts who promote a greater understanding of STEM education and careers for girls and women in Tennessee. 10:00 . OXIDE: Fostering diversity equity in academic chemistry departments. Academic chemistry departments not only employ a significant fraction of the chemical workforce, they also train future chemical scientists. As such, it is critical that these departments create an equitable culture for practicing and aspiring chemists from diverse backgrounds. OXIDE (the Open Chemistry Collaborative in Diversity Equity, www.oxide.gatech.edu) is a 5-year, NSF/NIH/DoE-funded initiative to reduce inequitable policies and practices in leading research-active academic chemistry departments with respect to gender identity, race-ethnicity, disabilities, and sexual orientation. We partner with department chairs, placing both the responsibility and the credit for solving the problem on them, rather than on single “change agents” in the department’s rank and file. Our partnership model also entails a variety of approaches to connect the chairs, existing diversity communities, and social scientists with diversity-related expertise. This presentation will describe OXIDE’s current findings and primary activities, including: sponsoring biennial National Diversity Equity Workshops (NDEWs), with the next in Spring 2015; gathering annual faculty demographics data from over 100 research-active chemistry departments and partnering with Chemical & Engineering News to publish the results; serving as an information conduit between stakeholders in academic chemistry departments, the social sciences, diversity communities, funding agencies, and the broader chemical enterprise. 10:20 . Recruiting and Retaining Talent in the Chemical Sciences. Stanley C. Israel was well-respected polymer chemist, a significant contributor to the ACS and an advocate for equality, diversity, research and education. This presentation describes our work recruiting and retaining students typically underrepresented in the chemical sciences at the University of Richmond and Hobart and William Smith Colleges. We will describe our approach which dovetails various components of education, research, outreach, mentoring and institutional support. 10:40 . Foster Diversity in Chemical Science by Integration of Research into Education in the Hispanic Serving Institution. Significant progress on minority student’s education has been achieved in the last decade. 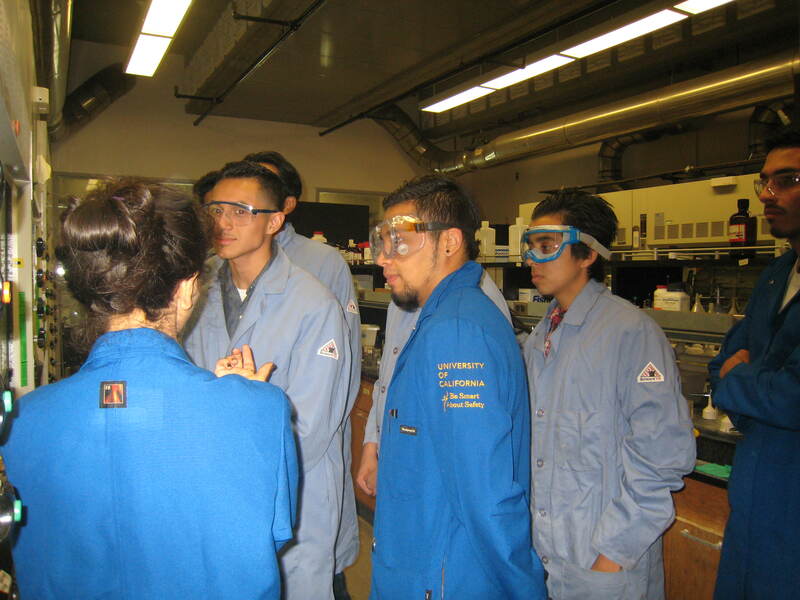 However, there are limited resources and programs integrating chemistry-oriented multidisciplinary research into quality education, especially among underrepresented student populations. In order to advance research and education in minority serving universities, the authors introduced series of leading edge research activity and laboratory experiments related to multidisciplinary Science, Technology, Engineering and Mathematic (STEM) fields into the undergraduate education. It was found that underrepresented students who are academically unprepared and financially-needed gains core-knowledge and their in-depth understanding of STEM concepts was improved via advancing research quality. The integration of research and education with joint efforts to infuse education with excitement of discovery was found to be able to enrich research through diversity of learning perspectives. 11:00 . Promoting chemistry education amongst the under privileged: Tales from 2 continents. Facilitating diversity in the chemical sciences is something that is very vital to the sustenance of the global scientific enterprise as a whole and it is the responsibility of everyone to play their own part towards the realization of this goal. This presentation will discuss some of the activities undertaken by the author on 2 separate continents- Africa and North America to help promote the study of chemistry with the ultimate goal of contributing to the global workforce. 11:20 . Nelson Diversity Surveys. The Nelson Diversity Surveys provide faculty headcount for faculty in 15 science / engineering disciplines at research universities, disaggregated by discipline, rank, race, and gender. Results of the most recent surveys will be provided, and the utility of these surveys will be discussed. How to read the information from the survey tables will be demonstrated, and where to find the data will be revealed. The ACS Committee on Minority Affairs is proud to sponsor the Stanley C. Israel Regional Award. The award recognizes individuals and/or institutions that have advanced diversity in the chemical sciences and significantly stimulated or fostered activities that promote inclusiveness within the region. The award is named for Stan Israel, who championed diversity within the chemical community. 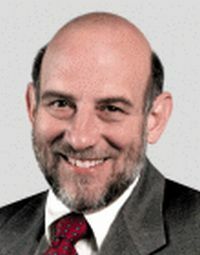 Among his diversity work, Stan served as chair of the Taskforce on Minorities in Academia. He served in many other leadership roles within the ACS, particularly in service to the Division of Polymer Chemistry where he served as Chair, Counselor, Program Chair and Treasurer. 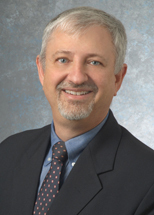 Stan was elected to the ACS Board of Directors, where he served as chair of several additional committees, including Grants & Awards and the Taskforce on Continuing Chemical Education. Have you regretted any decisions you’ve made before? Have you learned about new opportunities that would have helped you a lot during your years in high school, college or grad school? Or simply, you do not know much about developing your potential in your new job? You might need a good mentor! 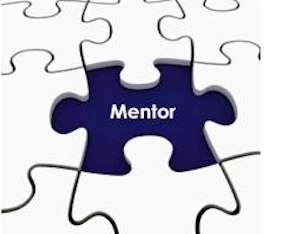 Mentoring is a tool to support and encourage people to manage their own learning. It is an effective way of helping people to progress in their careers. It is a partnership between two people (mentor and mentee) working together, sharing similar experiences. It is a supportive relationship based on mutual trust and respect. 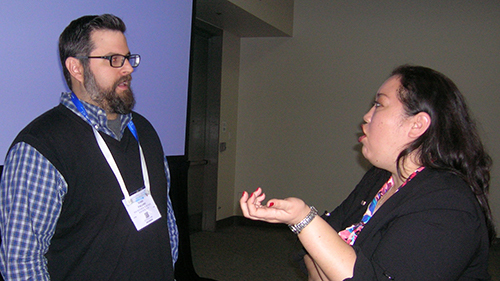 Fortunately, the American Chemical Society (ACS) has a lot of resources that will help you to find a good mentor. For example, if you are a high school student thinking about studying chemistry, but don’t know where to start, click here to learn more about the resources ACS has for you. On the other hand, if you are a college student getting involved with one of the ACS Student Chapters, attending National Meetings, or getting an Internship, ACS will help you to find a good mentor. Have a friendly ear with which to share frustrations, as well as successes. Mentoring could be a great tool to support people from underrepresented backgrounds. Are you mentoring someone? Do you have a mentor? For more details about finding a mentor, please click here! As a casual observer in the back of the room, you spot a full audience mimicking the arm motions of a chimpanzee. What a bizarre sight, right? Sights such as these are common during the Organization for Cultural Diversity in Chemistry (OCDC) community college outreach days. 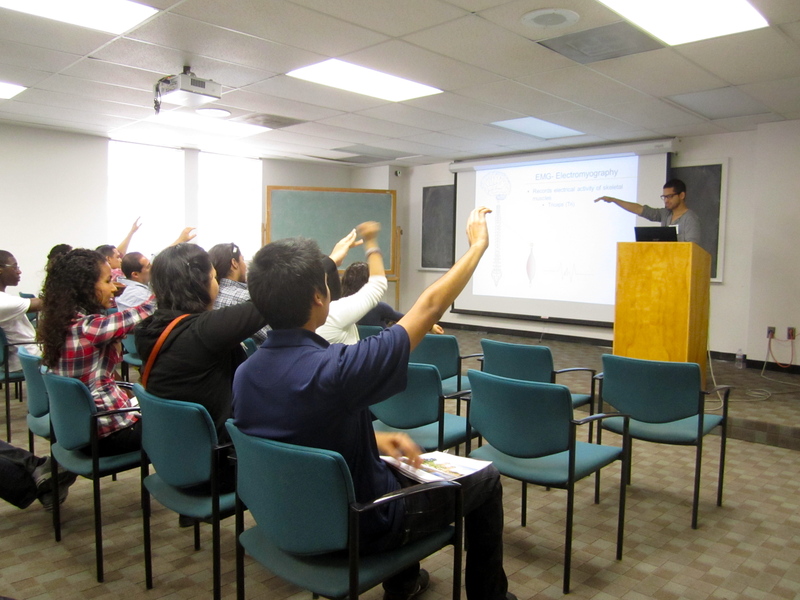 This particular audience was listening to a research talk given by a UCLA undergraduate student conducting research on spinal cord injury and therapy. What makes this student even more impressive is the fact that he was a community college student and transferred to UCLA just two years before. Stories such as these continue to inspire OCDC to host these quarterly outreach days. The OCDC community college outreach day starts with loading a bus full of students from a local community college and transporting them to the UCLA campus. Upon their arrival, the students are immersed in a community of support from the undergraduate and graduate students. The day begins with guest speakers from the Center for Community College Partnerships (CCCP), who give an interactive and informative presentation on the transfer process. Following CCCP, two UCLA undergraduates present their current research, such as the one mentioned above. These presentations not only give the students a taste of research but also introduce them to the funding opportunities available at UCLA for undergraduate research. We then host a lunch and subsequent Q&A panel where everyone gets a chance to socialize and ask questions, such as: what is it like to be a graduate student? How do you support yourself through so much school? Bringing the program to closure, we conduct laboratory tours of the chemistry & biochemistry research facilities, even sneaking in a fun demo or two during the tour. This 2014 school year has been unprecedentedly successful for OCDC. We have hosted three community colleges: College of the Canyons (COC), Pasadena City College (PCC) and Los Angeles Mission College. What sets our program apart form the others is, following these outreach days, we encourage and support the community college students to give back to their communities. Currently we are developing demos that the community college students can perform at their local elementary schools, giving them the training and opportunity needed to take leadership in their own communities and continue to “pay it forward” with their own outreach. Stay updated with OCDC on our new website, facebook page and twitter! 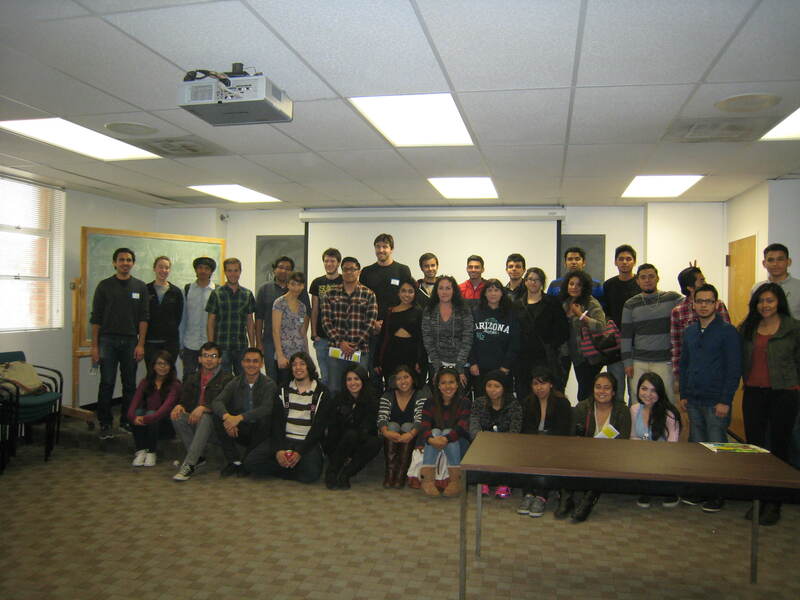 We’d like to give a huge thank you to SACNAS, CCCP and OCDC for volunteers and P &G and GSA for funding! The Organization for Cultural Diversity in Chemistry (OCDC) is a group of graduate students with a vision and passion to lead and promote diversity in the sciences. Our purpose is to provide an all-inclusive community of highly educated individuals to advance through the pipeline to influential positions in industry and academia in the sciences while simultaneously mentoring the younger generation of underrepresented minorities. Through our partnership with Procter & Gamble, OCDC provides invaluable networking opportunities through our student-organized diversity seminars. We continue to build scale within our UCLA chapter by implementing innovative and sustainable outreach programs spanning k-12 to graduate level education while maintaining excellence in our research careers. Welcome to the ACS CMA Blog! 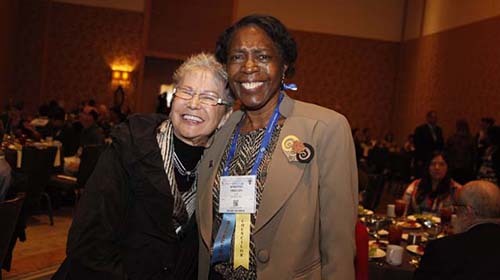 The American Chemical Society Committee on Minority Affairs has created this blog to increase recognition of racially and ethnically underrepresented chemical scientists and disseminate relevant information for practitioners.